The Chrysler Group continued its incredible climb out of the troubles of 2008 with their 32nd consecutive month where the company has shown positive growth compared to the same month one year earlier – with four of the five Chrysler Group brands showing positive growth last month. The Fiat brand was once again the top moniker from the Chrysler Group in terms of year over year sales growth with an improvement of 123% in November 2012. Continuing to surge forward with really just two models, the 500 and the 500 Cabrio, the compact Italian brand remains one of the top growers in the US auto industry. Fiat just unveiled the much larger 500L at the LA Auto Show which will bring new buyers to the brand and with them, a sure fire increase in sales once those roomy models arrive. Fiat showrooms will also soon play home to the all electric Fiat 500e but much like the high performance Abarth – these super efficient models will likely be available in very limited quantities so there will be less impact on the overall sales figures. 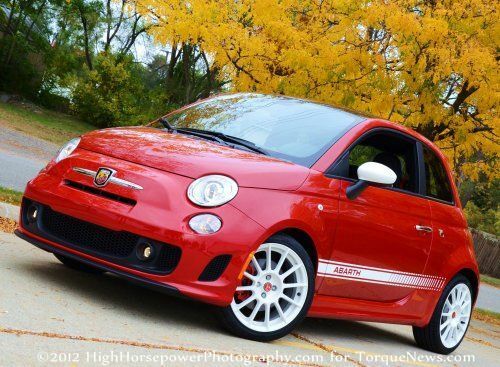 On the year, Fiat is doing 130% better than the new brand did over the first 11 months of 2011 with 40,065 units sold. The Dodge brand was second among the Chrysler Group automakers in terms of sales growth while also being tops internally in overall sales. In November 2012, Dodge sold 40,075 cars, minivans and SUVs – marking an improvement of 32% over the 30,317 units sold in November 2011 and putting Dodge roughly 5,000 vehicles above the Jeep brand. Dodge was led in sales growth by the Journey with the roomy crossover moving 6,569 and improving by 77% compared to November 2011. The Journey also claimed the third spot among the Dodge brand in overall sales. The Dodge Caravan family was second in terms of sales growth with a jump of 42% while their 8,578 minivans sold made the Caravan Dodge’s bestselling vehicle in November. Surprisingly, the Dodge Avenger was third in sales growth with a jump of 26% while 7,132 midsized sedans sold made the Avenger the Dodge brand’s second best seller in November. On the year, Dodge is up 15% compared to the same period last year with 472,598 new vehicles sold in 2012. The Ram Truck brand was the third best lineup from the Chrysler Group in terms of growth with a 23% improvement in November 2012 – coming almost completely from the Ram pickup family. In November, Chrysler sold 24,337 new pickups which accounted for an increase of 23% and while the Caravan-based Ram C/V added 737 units to the mix, the Ram pickup was responsible for the monthly success of this work ready brand once again. For the year, the Ram brand is up 17% thanks to 270,043 new trucks and vans sold. The Chrysler brand was the fourth best in terms of growth among the company the sports its name with a jump of 1% in November 2012. The Chrysler 300 was the top model in terms of growth with an increase of 17% while the Town & Country minivan was second with an improvement of 3%. The Chrysler 200, the only other model in the brand right now, posted negative growth in November. However, with 7,371 units sold, the Chrysler 200 was the top model from the brand in terms of overall sales followed by the Town & Country (6,636) and the flagship 300 sedan (4,759). While November brought about only a small increase for the Chrysler brand, 2012 has been good to this affordable luxury lineup with a 43% increase over the first 11 months – moving 282,454 new vehicles so far this year. Finally, the Jeep brand was the only name in the Chrysler Group to post negative growth in November 2012 with a surprising decline of 3%. The Chrysler Group attributes this decline in sales to a mix of the Jeep Liberty coming to an end combined with the impact of the hurricane on the American Northeast – an area that buys a great many Jeep products. The Wrangler was the top model in terms of growth with an increase of 12% followed by the Patriot at 4% and the Grand Cherokee at 1%. In terms of sales volume, the Grand Cherokee was the top dog with 13,619 units sold while the Wrangler was second (10,337) and the out of production Liberty (4,202) was third. On the year, Jeep is up 16% in moving 434,260 new SUVs over the first 11 months of 2012. Thanks to the steady stream of new models from all of the five Chrysler Group brands, the smallest of the Big 3 will likely continue to post these positive growth figures into the 2013 year.